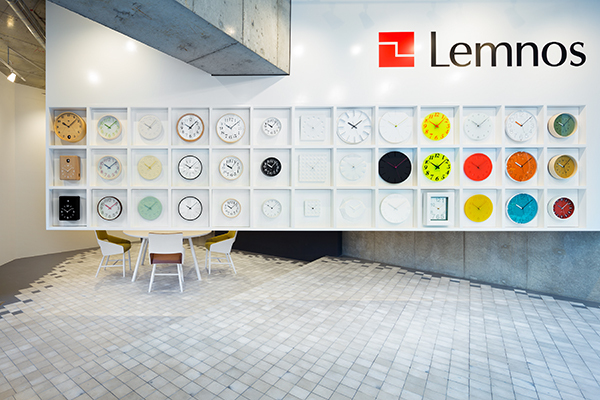 Around 80 types of design clocks await you at the Lemnos Showroom. From natural taste to simple modern, we specialize in a high-quality lifestyle, especially for you. 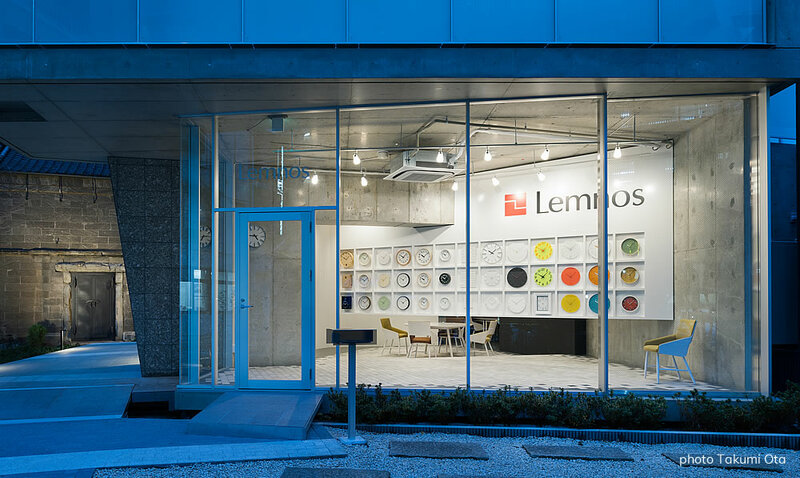 TAKATA Lemnos has planned various projects with many famous designers, won a large number of design awards, and received high evaluations not only in Japan but also overseas. 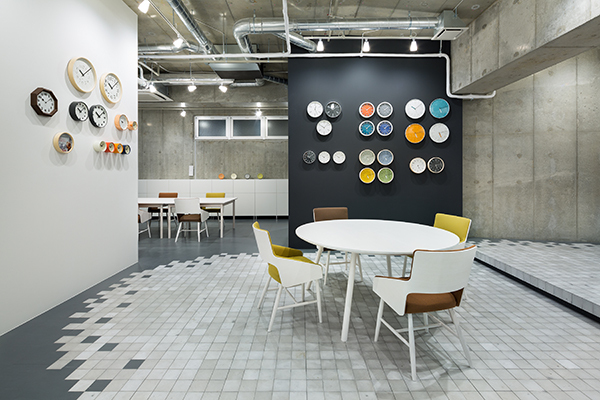 The Tokyo showroom was opened at Myogadani in Bunkyo-ku to enable many people to see our products. 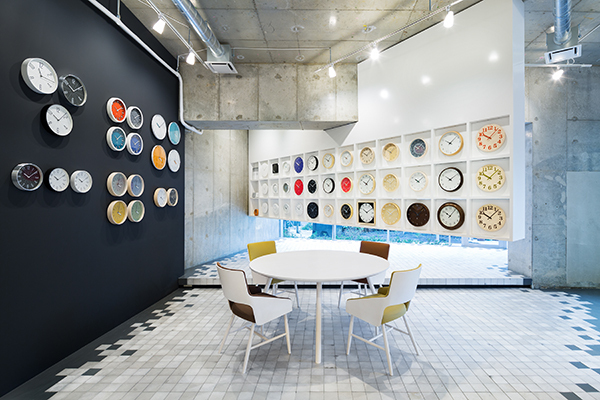 Located practically in the center of Tokyo, the showroom is easily accessible by public transport. 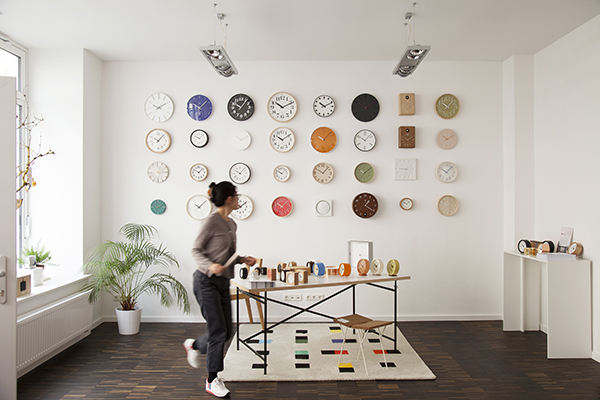 There are around 80 kinds of design clocks on display in the middle of the showroom, maximizing use of the 100-square-meter space. We would like to welcome you to view our extensive range. From natural taste to simple modern, we have a wide variety of items. 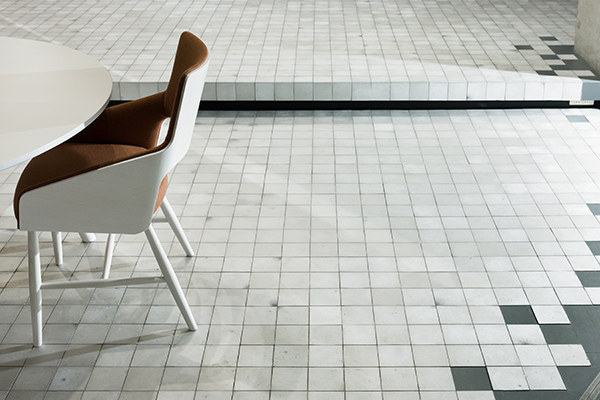 Experience the different texture and atmosphere of each design product. 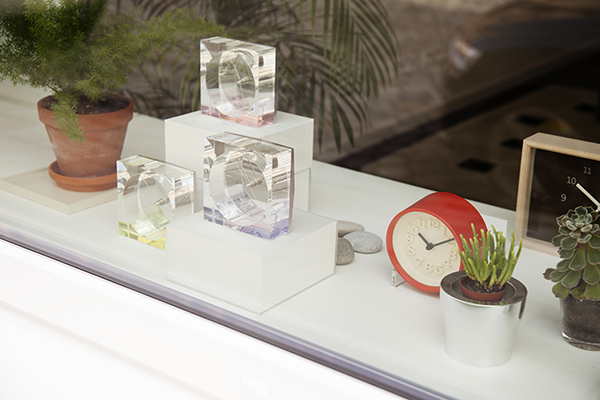 Also, accessories co-developed by Lemnos and our group company TAKATA FACTORY are displayed in different varieties. You can see the technological strength and high-quality manufacturing from our home base in Takaoka. Along with displays of our latest products, we hold presentations of our new products and various other events. Enjoy the variety of Lemnos products, each one carefully and individually made in Japan using different materials. Open: Mon.-Fri. 10 am to 6 pm. 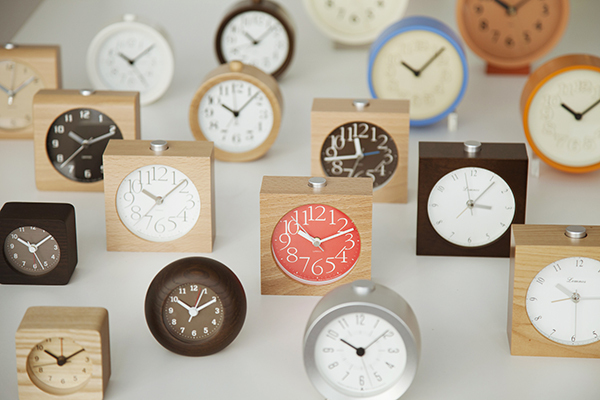 Closed: Saturday, Sunday, national holidays, Golden Week, summer and winter vacation periods. 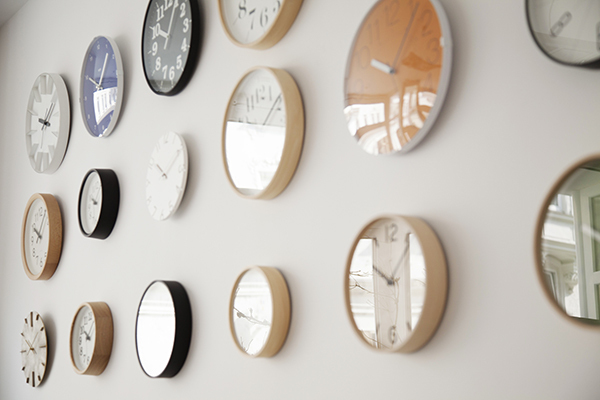 At times of exhibitions or business meetings, the person in charge may be absent from the showroom. We would be grateful if you could contact us prior to your visit. 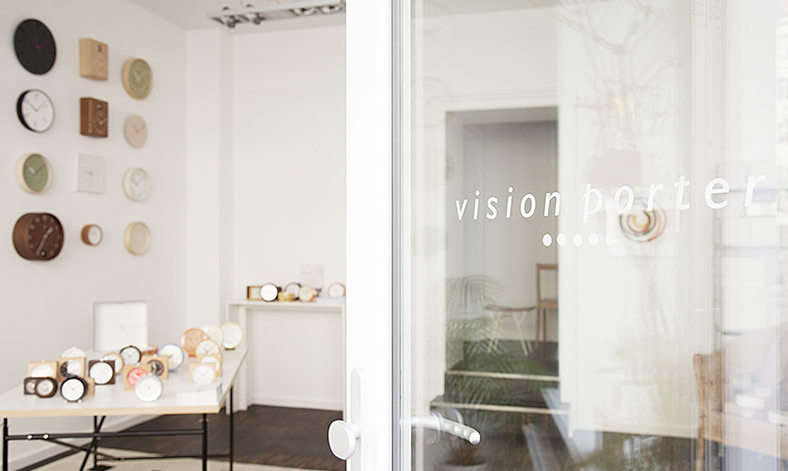 visionporter has moved to new premises in fancy Dreimühlenviertel of Munich in the midst of various interior and lifestyle shops. 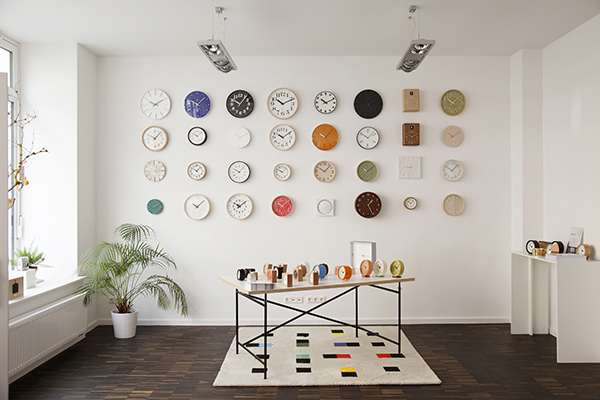 With much more space and light, Lemnos clocks are now on display and sale at Dreimühlenstr. 23. 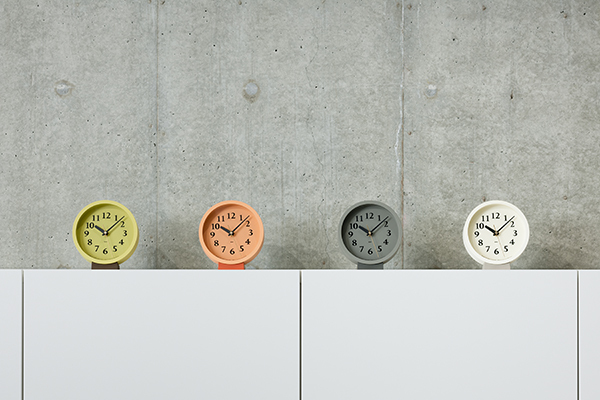 We are looking forward to welcoming our customers and friends of Japanese design!